deeply shallow: #atozchallenge: what should I write this year? 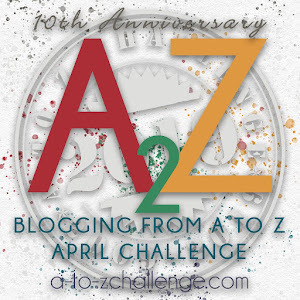 Okay, so I signed up for the Blogging from A to Z challenge again this year (#atozchallenge on twitter). This is basically a challenge where you write a post every day except Sundays during April, with each post titled sequentially from A to Z. This kicks off on April 1st, which is the only Sunday for which we'll write a post. Last year, I wrote a short story series at my old blog here and I'm wondering if I should do something similar this year, or if I should write a series of unrelated fiction, or if I should do posts on other themes, like say books, or blogs, or... I don't know. The deal is, if I do write fiction, instead of waiting for alphabet prompts, or having to hunt for the right word, I've decided that I will just take the last word in the dictionary for each alphabet. Now I haven't actually picked up my Oxford to check what those words will be... so I suppose that will be part of the challenge!